Have you already thought of what to do this summer? How can you make your summer vacation or weekend interesting and beneficial? We will tell you: if you like active leisure, go canoeing or kayaking through the rivers of Belarus! Specially for you, we chose the most interesting water routes of Belarus 2017. Officially, there are only rivers of the first category of complexity (the easiest) suitable for kayaking in Belarus. For the most part, they are rather slow and calm, there are almost no difficulties on them: rapids, rifts, shivers and other. This is due to the flat terrain and a small number of stones in the river beds since the complexity of the river is formed from the flow speed and the presence of rapids (rocky, shallow areas). In turn, the speed of the flow is determined on the basis of the high water content of the river and the slope of the riverbed. In Belarus, there are deep rivers, but the slope of the riverbed is very small, which is great for beginners. Stracha and Isloch are some of the most popular small rivers for kayaking in Belarus. Among the water routes of Belarus, there are several rivers with a relatively fast flow and picturesque banks. The most popular of them are Stracha River, Saryanka River (north-west of Belarus), Isloch River (Minsk Region). On these rivers, there are rifts, shivers, but they are so small that they correspond only to the first level of complexity. The rivers of Nalibokskaya Pushcha National Park are also interesting: their banks are covered with virgin forests. It is informally considered that during the spring high water, when the highest current velocity is reached, the Stracha River reaches the second category of complexity. It flows through the protected area of Narochansky Park and has several thresholds - obstacles corresponding to the 2nd category of complexity. The thresholds on Strach are artificial and have arisen on the site of old mill dams, so canoeing will be more interesting there. The river Saryanka is good for kayaking because it can be traversed in 2 days (weekend), there are some interesting rocky rapids, a lot of sights on the banks. They include the church and the ancient park in the village of Sarya, geological outcrops of dolomite rocks, border poles on the border of Belarus and Latvia, the most northern church of Belarus, the ruins of an old manor and an abandoned park, the second largest lake in Belarus Osveiskoye with the largest lake island in Belarus with the strange name Du and the floating island called Owner (or Master). In addition, in the northern part of Belarus, in Poozerye (Lake Region), it is possible to plot water routes that will pass through the lake systems: the route along the Drujka river (the Braslav lake system), the Uscha river (the system of lakes of the Sinsha reserve), the Diva and Turovlyanka rivers (Ushachi lake system). But, among the usual quiet, calm rivers in Belarus, there are such, which are interesting with something different. Namely, in the wild nature that surrounds them and the absence of villages and towns on the coast. The standard of such rivers is the Stviga river. It flows among the vast massifs of wild forests and marshes along the border of the Gomel and Brest regions, in the center of Polesie and flows into Pripyat. Along with its riverbed, there are several protected nature reserves ("Olmanskie bogs" reserve, "Pripyatsky" national park, "Middle Pripyat" reserve). For 60-70 km of the river, from the village of Dzerzhinsk (the former Radzivilovichi) to the village of Korotichi, there is no settlement and no objects of human activity. 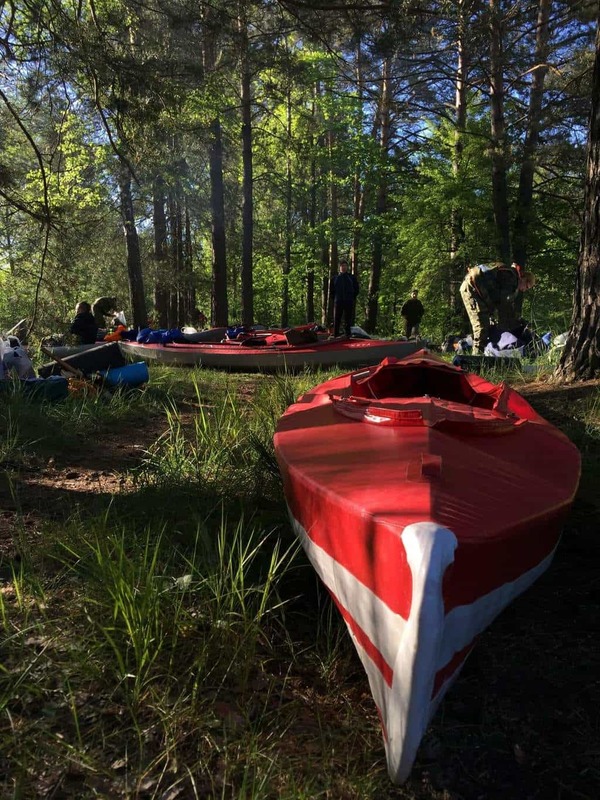 Stviga is very beautiful and quite complex for kayaking for beginners due to autonomy and a large number of blockages, barrows and other obstacles. As for other rivers of Polesie, they are wide and unhurried, flowing among meadows, swamps and floodplain forests. For many sophisticated tourists, it may seem rather boring. It is very similar to the Stvig and Ubort Rivers, these rivers can be called twins. Popular among tourists are such tributaries of Pripyat as Ptich and Sluch - these rivers are quite extensive, and there you can make many-day trips from central Belarus to Polesie. 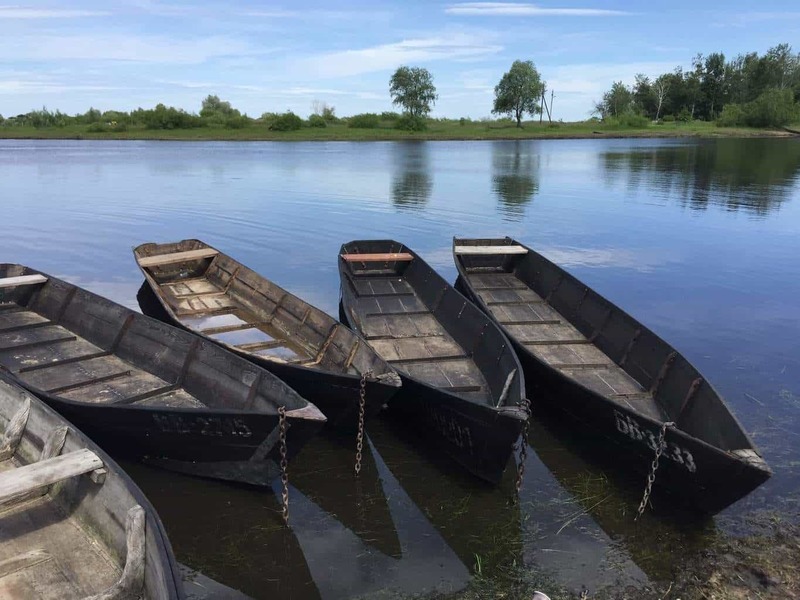 From the tributaries of Sozh, Iput (the home river of the Gomel water-craftsmen) and Besed (unfortunately, the most beautiful part of the river is in the exclusion zone after the accident at the Chernobyl nuclear power plant and getting permission for kayaking there is very difficult). 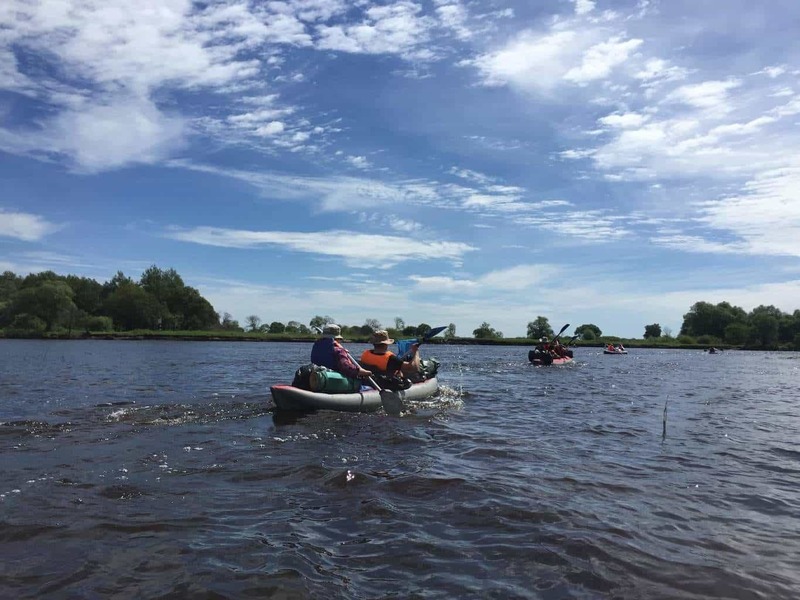 Among the large rivers for kayaking in Belarus, Neman is in great demand. It flows through beautiful, hilly places, often with forest along the river banks. You can also highlight Berezina. It goes along the Berezinsky biosphere reserve, among wild marshes and forests. But, it should be borne in mind that in those places, kayaking is paid and carried out only with the assistance of a reserve officer. 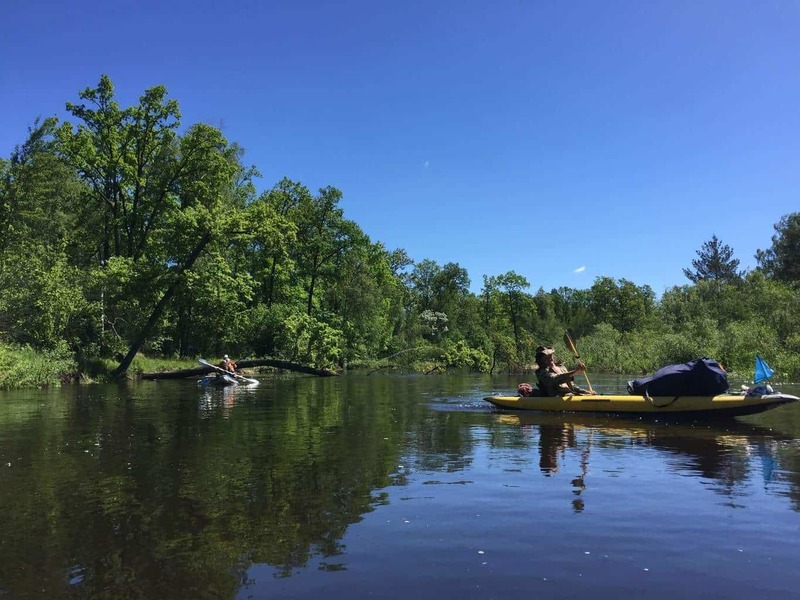 Tourists also go kayaking along the Western Berezina, but now it has been greatly altered when the hydro-electric power station was built (blocked by dams and reservoirs). You can also go canoeing along the famous Dnieper - the largest river in Belarus, and along the Sozh River - it is considered one of the cleanest among the great rivers of Europe. These rivers have a calm flow, considerable width, and beautiful landscape beaches. Just take in mind that the views on large rivers change not so dynamically as on the small ones, which not for every tourist might like. 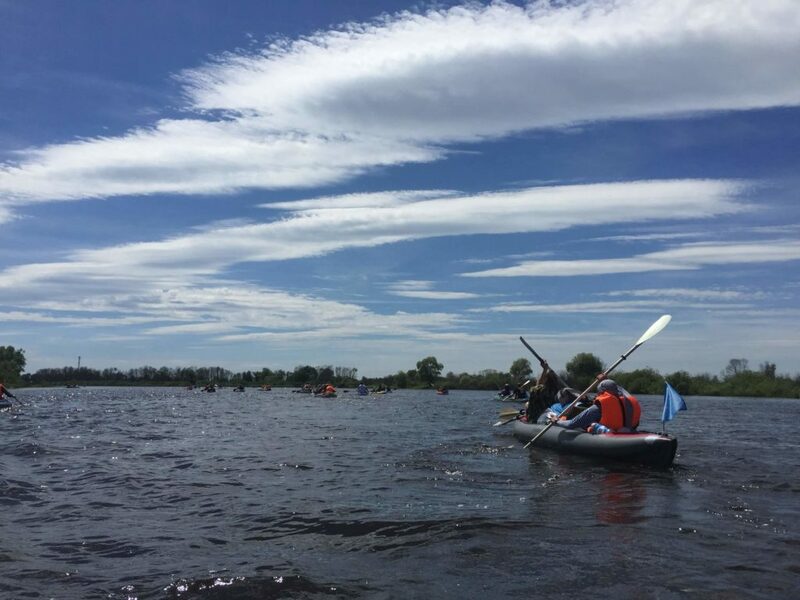 Where can I rent a kayak in Belarus? Renting a kayak in Minsk will not be difficult, but remember that it must be done in advance! Since in the top season, many people rent them, so it may be difficult to find something. 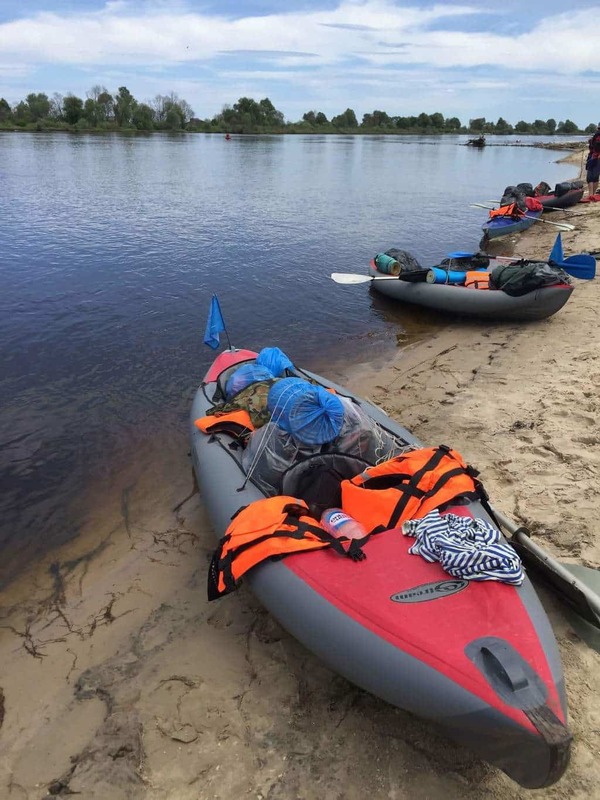 Where can I buy a kayak in Belarus? 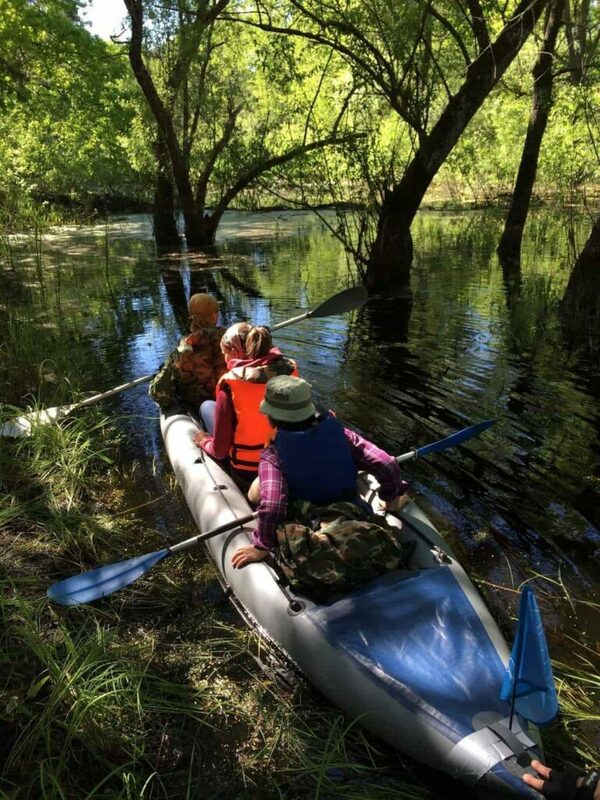 It was our guide to canoeing and kayaking in Belarus. If you like active leisure, read also about 5 cycling routes in Belarus and the 10 best health resorts in the country. Have a nice trip!